High priority is given to state-of the-art green and tee construction as well as quick and effective course drainage in order to provide good golfing conditions and optimal length of the golf season. The high central position of the clubhouse area create a perfect setting for satisfying private, as well as corporate business related requirements. Areas for accommodating larger group activities are reserved close to the clubhouse. There are two entrances to the area. One on the eastern side provides access to the golfing facilities whilst the entrance to the main residential area comes in from the west. The area has a security guardhous. Service and maintenance areas for the course and residences are situated at the western boundary near to the entrance guardhouse that is combined with a service shop. Conveniently situated close to the clubhouse and parking areas are the golf practice facilities and of course the first and tenth tees. The main training area (driving range) simulates on-course play with shaped fairway and green areas – making learning and practice more effective and interesting. The range is positioned in a south-to north direction to facilitate undisturbed all-day-round practice. The practice tee is covered for training in bad weather. Outside the clubhouse, and close to the first tee, are a chipping green and a putting green for practice and warming-up prior to play and also with space enough for accommodating group activities. 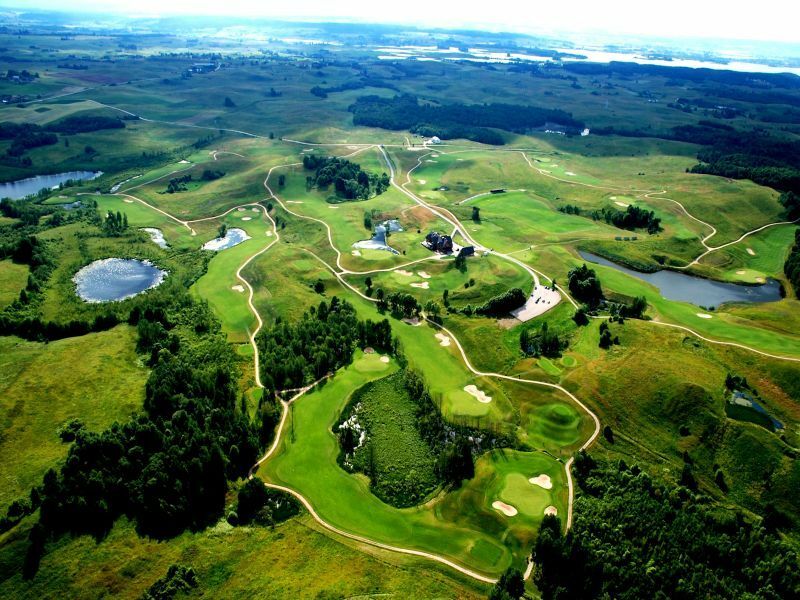 The design and planning of the golf course takes into consideration environmental and ecological aspects as well as the landscape. It is of prime importance that the golf course will have a positive influence upon the nature of the area. In order to achieve this goal separate environmental improvements are planned. If You go by the car, first of all You have to go down the road No. A1, direction Vilnius-Kaunas. When You reach Vievis, go up to the overpass, pass it and go straight down the road No. 221 around 2 km, and beside the “golf club and restaurant” denotation turn to the left and go straight 7 km through the villages Vievininkai and Rusakalnis. 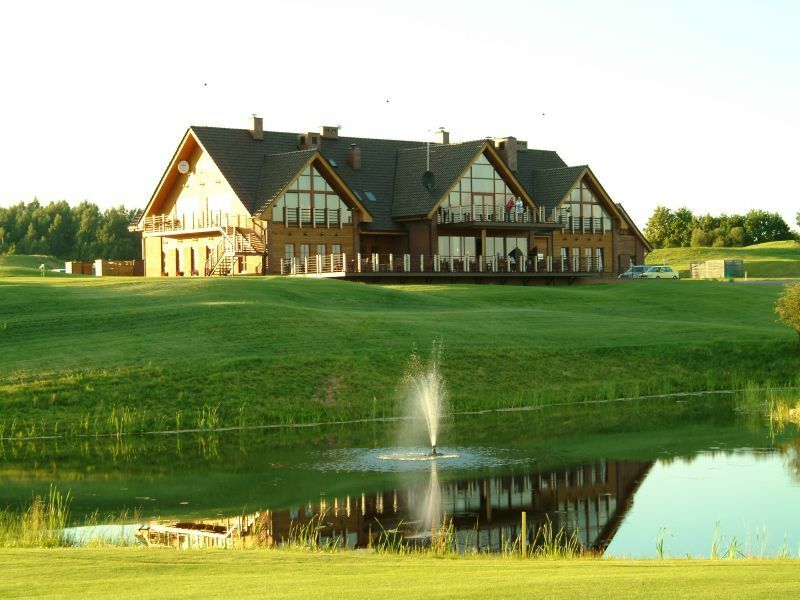 Then again, beside the “golf club and restaurant” denotation (also denotation „Elektrėnai 16 km“) You have to turn to the right and go around 2 km till the right turn – from here is the territory of the Capitals Golf Club. Capitals Golf is not yet in our pool of Golf Courses for orders.